YOUR FAVOURITE VIETNAM PHOTOS: SHARE THEM! You must have a favourite photo from Vietnam, why not share it with everyone. 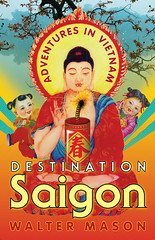 Walter Mason, author of Destination Saigon: Adventures in Vietnam is asking for people to share their fav holiday pics on the book's facebook page. Above is mine from 2003, a quiet temple that is just ancient (with an equally ancient abbot), the statues in there are hundreds of years old and I can't help but think they must be priceless. From the crazy heat and colour of Saigon to the quieter splendour of Hanoi, Walter Mason gives us a rare, joyous and at times hilarious insight into twenty-first century Vietnam. Seduced by the beauty and charm of its people, and the sensuousness of its culture, we can almost taste the little coconut cakes cooked over a fire in a smoky Can Tho kitchen, or smell the endless supplies of fresh baguettes and croissants just out of city ovens. As colourful city cafes and bars make way for visits to out-of-the-way shrines and temples, we take an impromptu visit to forbidden fortune tellers, and glimpse a little of the Cao Dai religion, made famous in Graham Greene's The Quiet American. Escaping on impulse to a far-flung province, a brief imprisonment culminates in an invitation to local wedding celebrations. Travelling off the beaten track to far-flung villages and lesser-known towns, we cruise along the Mekong, board hopelessly overcrowded local buses or perch perilously on the back of motorbikes. 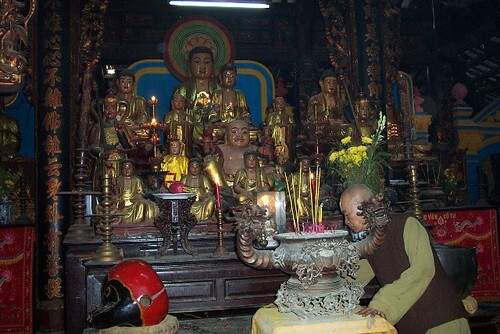 Behind-the-scenes visits to Buddhist monasteries reveal a quieter and more transcendent world beyond the busy day trips of tourists. And in the process we begin to see the country through the eyes of its people. 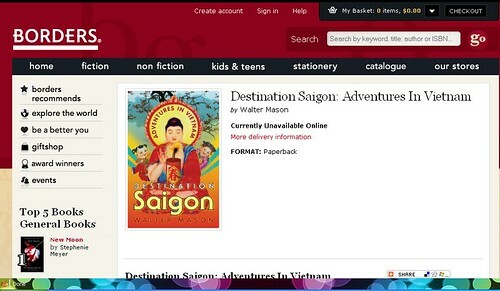 It's so exciting to see listings being created for Destination Saigon on major book sellers websites (Borders, Dymocks, Adyar), in readiness for stock being available from the end of February and official release March 2010. Owl and the Sparrow is one of the most touching films I've seen in a while. It doesn't pretend to be profound or grand, but it's pitched just right. 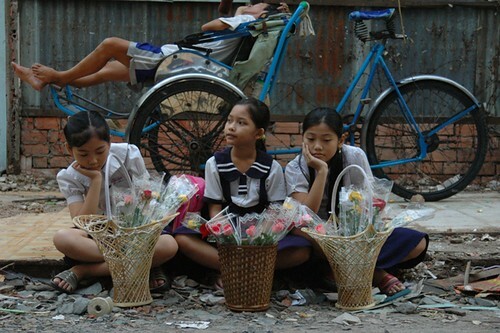 Set in Vietnam, a homeless girl, an air-stewardess, and a zoo keeper, three lonely people in a city of over 8m people. The homeless girl is played brilliantly. Tender and warm without getting too mushy. And bonus great shots of modern, busy, bustling Saigon, too.